A few weeks ago, my hubby bought me a Versa-tool, and it is really pretty cool. Not to mention, it is quite affordable too… the “higher end” model is $18 (after using a Hobby Lobby or JoAnn’s 40% off coupon - originally $30) and the “basic” model is only $9 (after using a Hobby Lobby or JoAnn’s 40% off coupon - originally $15). Moral of the story: you probably don’t have this tool, but it is pretty inexpensive, and you can do a lot of really cool things with it. The only difference between the two models is the number of different tips that come with it. 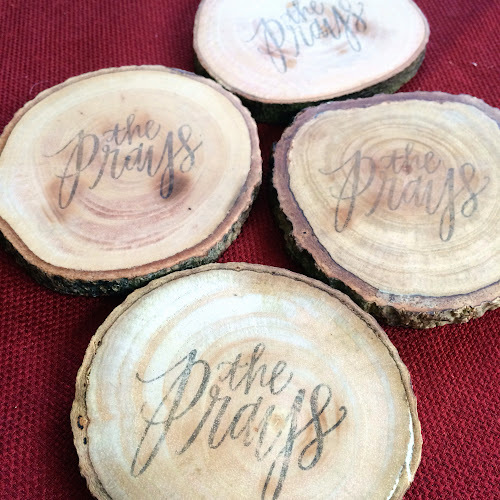 Anyway, I was dying to try it out, so I decided to make a set of wood-burned coasters. 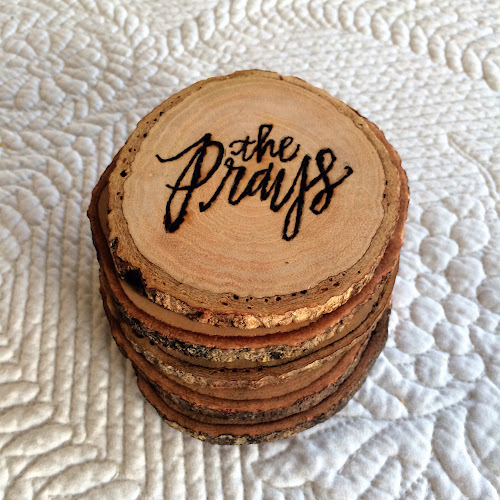 You can buy wood coasters from any craft store (and you can probably get them at Target too – I bought mine from World Market). Even Scout wanted in on this DIY! If you’re daring, you can go ahead a free-hand your whole design using the Versa-tool (or you can sketch with pencil first, etc.). 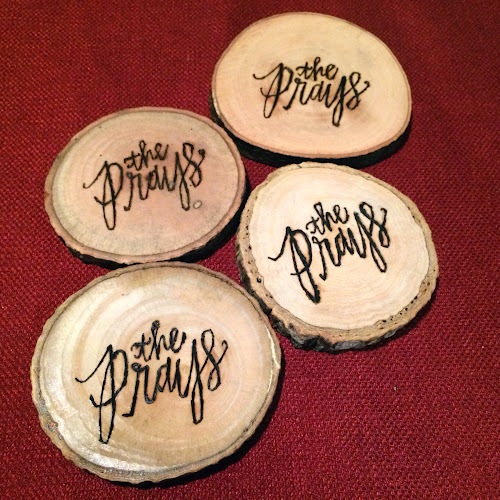 After she wrote my last name (“The Prays”), I transposed the image so that, after transfer, it would be correct on my coaster (I did this using Microsoft Word), and printed the image out using a laser printer (you must print with a laser printer - ink jet will not work). Once you print your design, place your printed image ink-side down on the coaster. 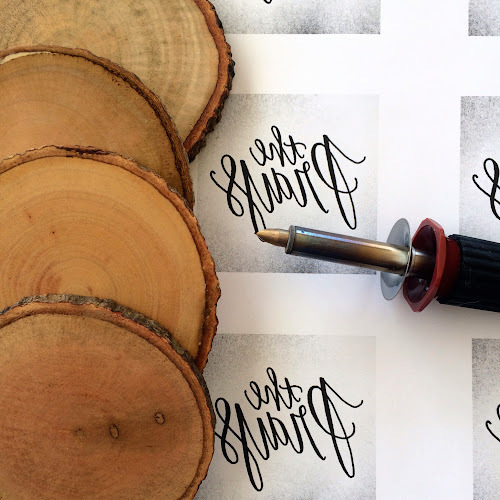 Using the image transferring tip, slowly move the tool on the paper in a circular motion (move the tool fast enough to make sure you don’t burn the paper too much). 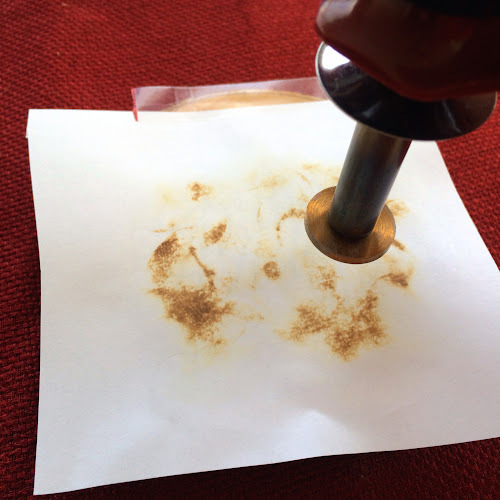 Once finished, there should be an image transferred from the paper to the wood (it can also transfer colored ink!). 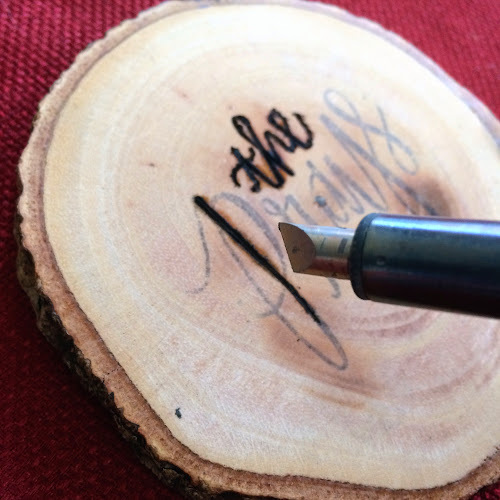 After the image is on the coaster, use the writing tip (or calligraphy tip, if you bought the more expensive tool), to go over all areas that you want to burn. This part took the longest for me (but I don’t have a very steady hand, so I was extra patient). I was really happy with the result. The coasters aren’t perfect, but with practice, I bet you can make some really cool stuff with this thing!! 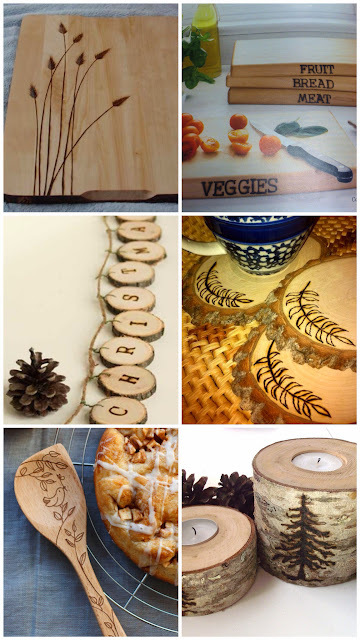 Here are some more wood-burning ideas from Pinterest that I came across. 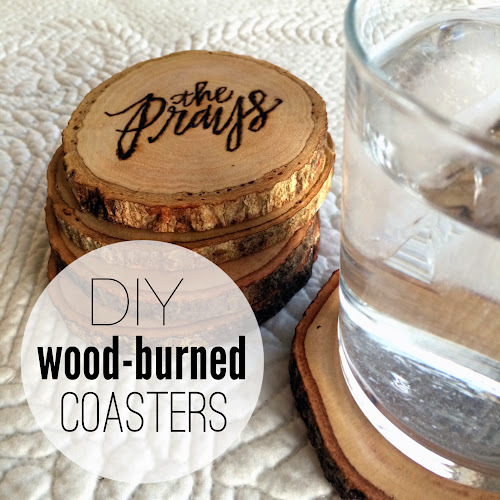 i love your coasters - and the cutting board idea is so cute! So cute! I can just picture these waiting for company on the coffee table! Love these! I have tons of wood because we just cut down a tree, this would be awesome to do with the pieces I have! Oh my gosh we blogged about the same thing. JUST KIDDING. I love these!! So great!! So cool! I've seen these on etsy but how neat to make them yourself!! I am loving this Lisa! 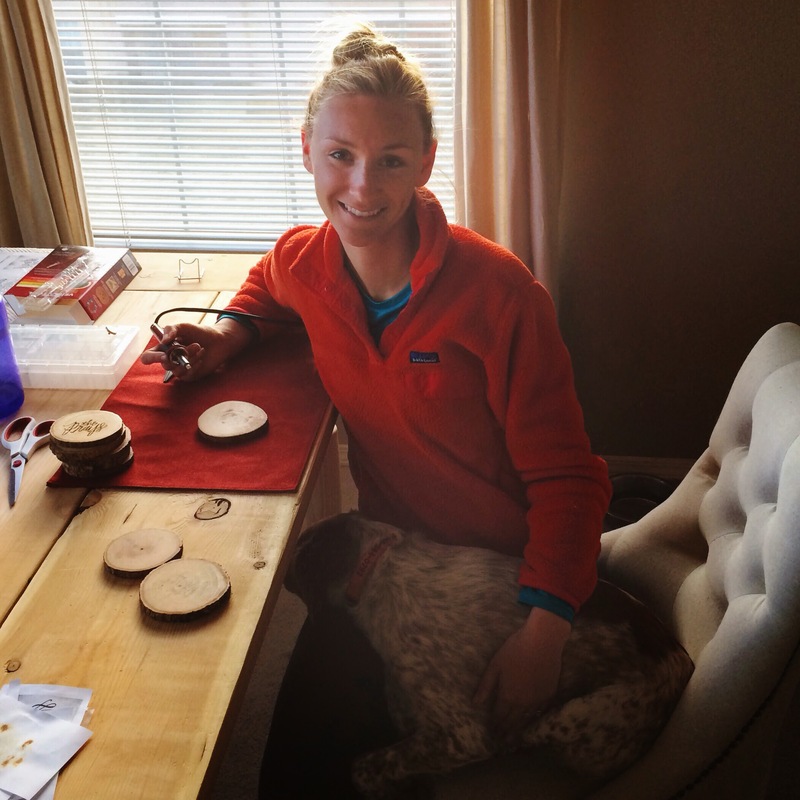 We have a wood burner and use it to make custom gifts for family and friends like personalized cutting boards! Never thought of coaster! Great idea!! Super cute! Not sure I have the patience for it, but they are adorable! What a wonderful idea! You did an amazing job - I love these. They would be great gifts too! Thanks for joining us today Lisa - have a wonderful week! Very cool idea! And who would have thought the tool was so inexpensive! Something like that would make a fun and personal present for a wedding shower or something! What a neat idea turned out soo good! I've heard about wood burning before but never really knew much about it! Absolutely love this!!! So creative. I got the Versa Tool from Michael's (also with the 40% coupon). I can't free hand for the life of me, but I'm definitely going to have to try the transferring. That'd be so much easier! I love yours...they are so cute! You should totally sell these for weddings and such! It looks awesome! Lisa! These are adorable! They would make a really nice housewarming gift! You do the best DIY stuff! Love this idea. We did something very similar a few years ago for our wedding. I think you did a fabulous job! And I love the Christmas banner. If I dug in my craft closet, I could probably unearth my wood-burner from high school... I wonder if it even still works!?!? Thanks for reminding me about that little guy! This is awesome! I love the way the coasters turned out! (and yes, she does have amazing handwriting). What a great idea for making gifts too. LOVE. Swoon. I seriously wish it was as easy as you make it sound!! These are just AWESOME! Wow!!! Now I need to go get myself one of these wood-burning tools!!! Omg this is amazing! Love Love Love! They're so cool! These are so cute! And I can't believe how easy they are! Wow! These are too neat! When I first saw this, I thought yikes, I can't do that. But you've made it look easy! The finished product is so adorable! Wow... great job! These are so fun! Oh my gosh, these are amazing! I am incredibly impressed! Those trend out so great!! How fun! I love these! I'll be featuring them on Worthwhile Wednesdays tonight! Stop by grab you button, party, and link up again! 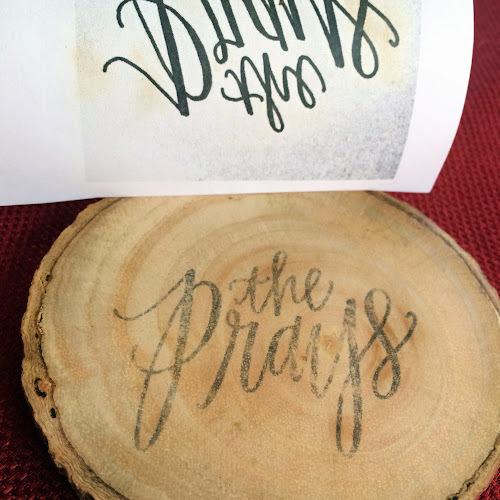 That's so cool and a great tutorial on how to transfer a design onto the wood. Pinned. Well after seeing your post, I'm definitely getting a Versa-tool. Thanks for sharing! Hi there! These are really neat...would you have to put a coat of anything after the designing to make it waterproof? Thanks!